The (anti-gun) signs were up for one day until Florida Carry Inc., a gun rights group, contacted the Health Department and said it had received bad legal advice, Chapman said. The department discussed the issue with its lawyer again and determined that people with a concealed weapons permit can bring a gun into the building. The Florida Department of Health attorney came to the wrong conclusion of law about the Health Department’s authority to regulate firearms. We spoke to another DOH attorney, with whom we had worked previously, and notification that such signs are illegal has now gone out to DOH Regional Directors statewide. Florida Carry abhors filing lawsuits; they are costly and time consuming. This is just an example of the work we do every day. It is rare for these actions to actually be reported to the media or make the news. Florida Carry's suit claims police violated state law when they entered A.B. 's Pelican Bay townhouse and confiscated his firearms and then refused to give them back. Officers took the weapons on Dec. 23 and police officials told A.B. that he must obtain a court order for their return. A.B. has not been declared mentally ill by a judge, Florida Carry said, and therefore he is not -- according to state law -- prohibited from owning guns. While Chitwood said the agency is aware of state statutes and the 2009 McCollum opinion, the issue is one of community safety versus the rights and interests of one person. One talk with a qualified mental health professional was all it took to determine that the combat vet was never a threat to himself or anyone else. Now the police department refuses to give this man, who has stood watch for our defense, his property back despite numerous previous court decisions and instructions from the Florida Attorney General that all instruct that his property, including firearms, should be immediately returned. We had no choice but to file a lawsuit in this case. "Improper law enforcement training coupled with an emotional overreaction is detrimental to the civil rights of Floridians. When a Constitutional officer then delays the resulting internal investigation to permit the untrained officer to walk away without so much as a slap on the wrist, it illustrates a systematic absence of accountability in those we trust to protect us." Joining Mr. Smith as plaintiff, Florida Carry is representing its membership and millions of Florida gun owners in the lawsuit. Because sometimes (usually) just shouting “Shall not be infringed!” is not enough. Florida Carry has filed a “friend of the court” brief highlighting the constitutional right to bear arms outside the home and the differences between that fundamental right and the court decisions ruling that there is only a privilege of a license to conceal. Eric J. Friday, Florida Carry’s Lead Counsel, explains that gun “buyback” schemes are a huge waste of tax dollars and private funds. We cannot do this work without your support. Lobbying and lawsuits are expensive. Please Join Today. Florida Carry sues the City of Daytona Beach, its Mayor and Police Chief. Today Florida Carry, Inc., filed an action to stop Daytona Beach’s illegal practice of refusing to return firearms to people, including veterans, who were Baker Acted but found to be no danger to themselves or others. For too long, many jurisdictions throughout Florida have refused to follow the law. In 2009 the Florida Attorney General made clear in an opinion that the continued detention of firearms after a person was released without being found to be a danger to themselves or others was prohibited by Florida law. 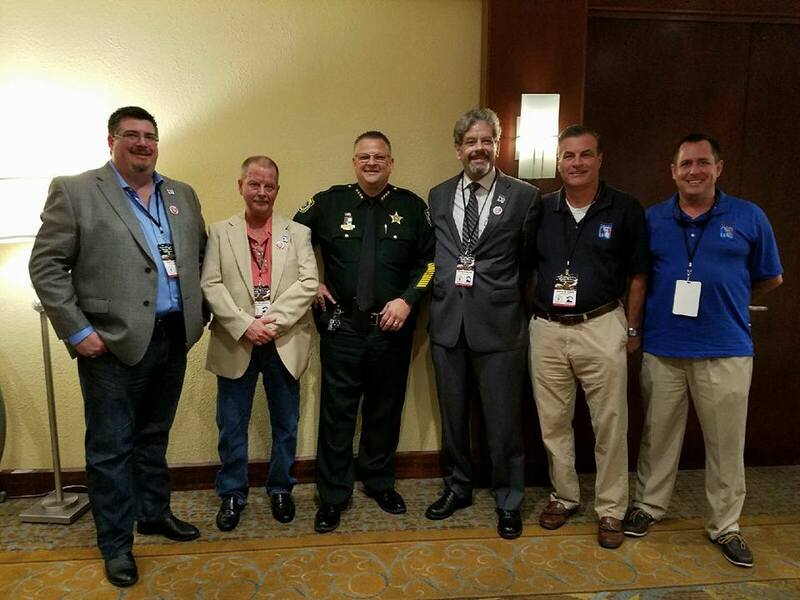 Despite the clear instruction from the Attorney General and the legal prohibition on creating their own firearms rules since 1987, these individuals and agencies who have sworn to uphold the law, have instead violated the law and the Constitutional rights of law-abiding Florida gun owners. It is time to hold these jurisdictions responsible and require that these people in authority follow the laws they swore an oath to uphold and enforce. As we previously reported, an honorably discharged combat vet called a veteran’s assistance hotline for someone to talk to. Instead of finding the sympathetic and understanding ear of a fellow vet, the VA hotline worker got the police to come out and take this man who has stood in defense of our country from his home and submit him for mental evaluation. The police officers also seized his firearms, bows, arrows, ammo and protective equipment. One talk with a qualified mental health professional was all it took for the doctor to determine that the vet was never a threat to himself or anyone else. Now the police department refuses to give this man who has stood watch for our defense his guns back despite numerous previous court decisions and instructions from the Florida Attorney General that all instruct that his property should be immediately returned. This problem has been found statewide and Florida Carry got involved in this case to protect the rights of all Floridians. The denial of personal property rights without just cause and the denial of the right to bear arms without due process of law must end now. Ft. Pierce, FL - Today, St. Lucie County Judge Cliff Barnes denied all constitutional arguments to dismiss the case against Dale Norman, without written order. State v. Norman is the case of a law abiding concealed carry licensee who was arrested and prosecuted in Fort Pierce, FL for violating Florida nearly complete ban on Open Carry after his otherwise lawfully carried handgun unknowingly became unconcealed while walking. The denials were based, in part, on the courts findings that the statute is facially overbroad and is facially vague, but was not necessarily improper “as applied” in this case. This turns the standard of statutory review on its head by applying it in reverse. The judge also did not fully consider the Second Amendment or FL Art.1 Sec. 8 question; denying it because the question of the right to bear arms "is for someone above the level of this court." The prosecution, having already been notified of our intent to appeal, took the unusual tactic of stipulating to the court that withholding adjudication and just imposing a fine would suit the State’s interest after the Judge explained his grounds for dismissal of the constitutional challenges. The Second Amendment question is fairly straightforward; Florida courts have clearly acknowledged that the carrying of a concealed firearm is a privilege subject to even being banned completely, not a right protected by the constitution. Florida appellate courts have found that the “Retroactive application of (new Florida Statutes), is not unconstitutional because a license to carry a concealed weapon or firearm is a privilege and not a vested right.” Crane v. Department of State, 547 So. 2d 266 (Fla. 1989). The “privilege of a license to carry a concealed weapon or firearm” recognized In Crane cannot replace, or substitute for, the fundamental right guaranteed by the U.S. and Florida Constitutions. Florida courts have long held that there is a right to bear arms outside of the home. The written order for Dale Norman's case is pending. We are asking the judge to certify the constitutional questions directly to the Florida 4th District Court of Appeals as matters of great public importance. Florida Carry is providing for the continued defense of Dale Norman and seeks to clarify what the right to bear arms is in Florida. Please help us win this fight for your RIGHT to Bear Arms by Joining or Donating. The Generally Pro-Carry Supermajority was lost in the FL House and reduced in the FL Senate as we face challenges to Florida’s Self-Defense and Right to Carry laws in the next legislative session. Two articles from Sunshine State News provide some insight on the State races. Generally pro-gun but anti-open carry State Sen. Ellyn Bogdanoff (R-Fort Lauderdale) was defeated by rabidly anti-gun/anti-self-defense State Sen. Maria Sachs (D-Boca Raton). 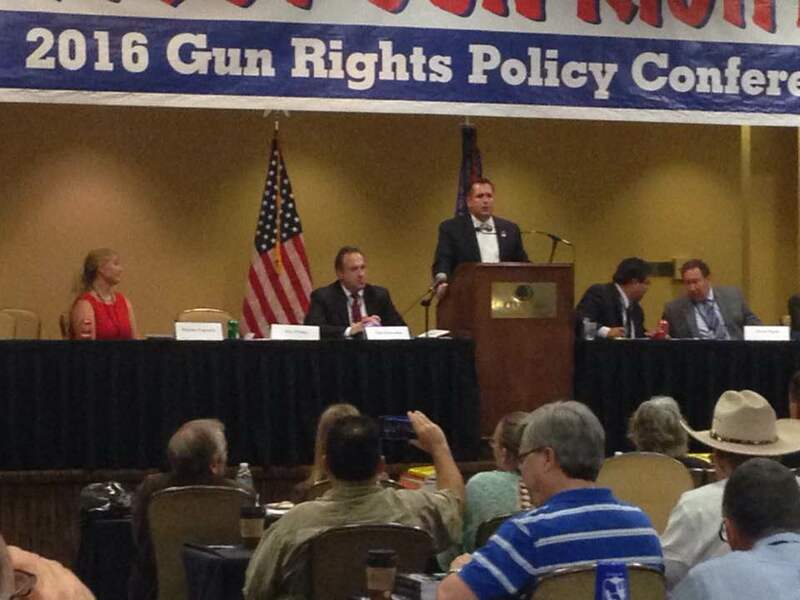 State Rep. Chris Dorworth (R-Lake Mary), who sponsored Campus Carry and Open Carry legislation in 2011 and is in line to become House Speaker, is currently 37 votes behind his anti-gun challenger Mike Clelland (D) who wants to make it illegal to purchase ammunition in quantity or via the internet and has decried the private ownership of “Assault Weapons” and “Large Clips”. Amidst the George Zimmerman Self-Defense trial and the media storm that surrounds it; the incoming Senate Democratic Leader, State Sen. Chris Smith (D-Fort Lauderdale), has been an outspoken critic of Florida’s “Stand Your Ground” and Self-Defense Immunity laws and has even called for repeal of long standing “Castle Doctrine” protections. In addition to our ongoing right to carry and firearms law preemption lawsuits, Florida Carry is currently working on these legislative priorities for the 2013 session. "Stand our Ground" to support Self-Defense Laws that do not require people to turn their backs and try to run from an attack. Defensive Display law to allow armed people to defensively display a firearm or defensive weapon while under criminal attack but before needing to actually use lethal force. People who defend themselves should be "innocent until proven guilty". Shift the burden of proof to the State in Self-Defense Immunity Cases. Remove arbitrary round count enhancements. Repeal the 20 round mag = automatic 20 year mandatory minimum law. Stop applying 10-20-Life mandatory minimum laws to people who are only trying to defend themselves against an imminent or actual violent criminal attack. Reduce the list of “Defense Free Zones” where carry is prohibited. Now, more than EVER before, it is critical that we have your support, your voice, your membership and yes… We critically need your money if we are to continue to be effective in this fight. Please Join or Donate today! FL Supreme Court to Decide – Is Carrying a Gun a Crime Even With a Carry License? We all know that the police can't generally just stop and search you when you're just out in public and minding your own business. You have a Fourth Amendment right that protects you from such invasions of your privacy. Unless you are attempting to go in to a secured "sensitive place", there must be a reasonable suspicion that you are committing a crime for a police officer to search you. That is, at least so long as you don't exercise your Second Amendment right also. A court's main guide in construing a statute is the legislature's intent. Accordingly, general rules of statutory construction, such as the one in Baeumel, are designed to help courts ascertain the intent of the legislature. As stated above, however, Baeumel is a general rule, and in some cases the placement of a statutory exception is not determinative of the legislature's purpose regarding a statutory exception. State v. Robarge (450 So. 2d 855) (internal citations omitted). Then, in 1987 Florida changed its law to create a statewide licensing system for concealed carry. This did away with the former law that based the licensing of concealed and unconcealed carry with County Commissions. This was the famous "Shall-Issue" law that made Florida the prototype for concealed carry laws nationwide. Today nearly 1-million people have current Concealed Carry Licenses under this law. The problem is that when the law was changed, the legislature didn't use the general rule of statutory language construction that was used in the previous statute. This gave prosecutors another bite at the apple. The courts started to ignore the legislature's intent and instead, just looked to the technical structure of the updated concealed carry statutes. Now the courts are saying that anytime you carry a firearm you are committing a crime. If you have a concealed carry license, that just gives you an "affirmative defense" to the charges. So... In order for the police to stop and frisk or arrest you, they must first observe facts supporting a reasonable suspicion that a suspect is engaged in criminal activity or have information suggesting the possession of a firearm is unlawful. Therefore, you can be stopped, searched, and even arrested for carrying a firearm and then be made to present the "affirmative defense" to a judge that you have a valid concealed carry license. Please Join Florida Carry or Donate Today.